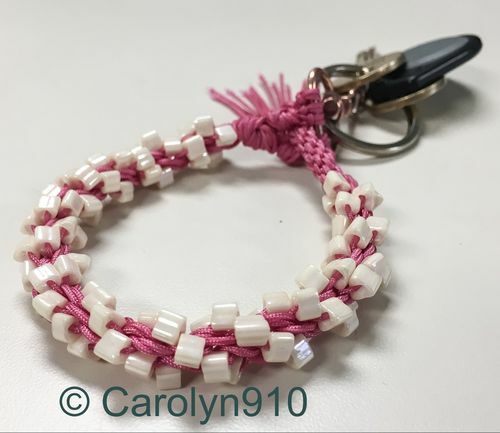 I made this 8 element kongo gumi braid with 5/0 triangle beads to act as a wristband keychain for my work entry fob and keys. The braid is made with 1mm Chinese knotting cord, a very strong material for beaded braids. Layout is based on the Monet Beaded Bracelet from Twist, Turn, and Tie by Beth Kemp.